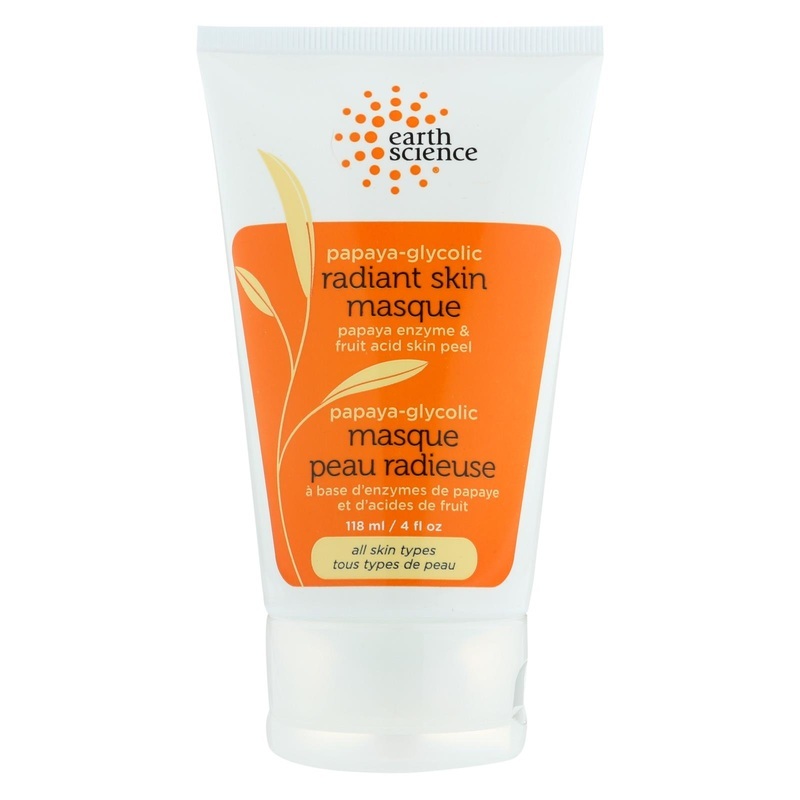 Earth Science Papaya-Glycolic Gentle Skin Peel Description: Papaya-Glycolic Gentle Skin Peel: Papaya Enzyme and Fruit Acid Skin Peel For All Skin Types. 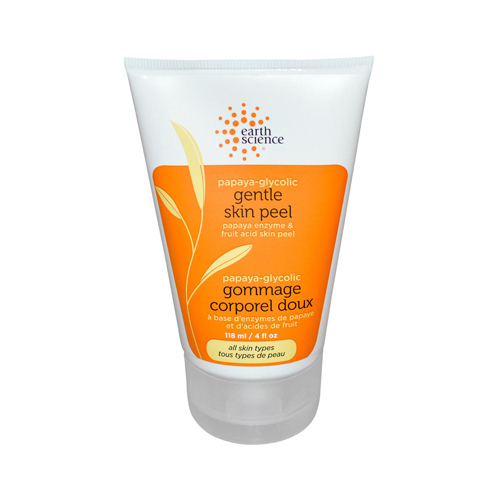 A completely non-chemical herbal peel scientifically formulated with natural ingredients to eliminate impurities. Disclaimer These statements have not been evaluated by the FDA. These products are not intended to diagnose, treat, cure, or prevent any disease. Apply a thin layer oven clean face. Allow to dry completely. Remove with a damp washcloth. Avoid the sun and wear sunscreen. 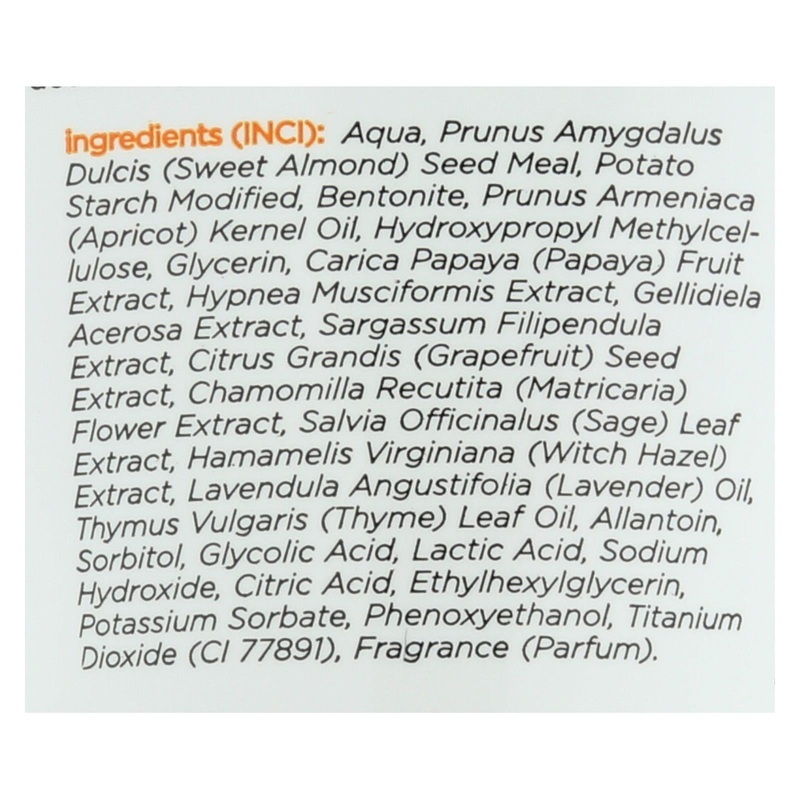 Ingredients: Purified Water, Witch Hazel Extract, Almond Meal, Potato Starch, Bentonite Clay, Apricot Kernel Oil, Glycerine (Vegetable), Kelp Extract, Cellulose Gum, Chamomile Extract, Papaya Fruit Extract, Zinc Oxide, Glycolic Acid, Lactic Acid, Sage Extract, Lavender Oil, Allantoin, Grapefruit Seed Extract, Jasmine Oil, Sorbic Acid, Thyme Oil, Citric Acid. Purified water, chamomile extract, zinc oxide, allantoin, witch hazel extract, almond meal, potato starch, kelp extract, cellulose gum, bentonite clay, apricot oil, vegetable glycerine, papaya enzyme (papain), citric acid, lactic acid, glycolic acid, sage extract, jasmine oil, thyme, lavender oil, thyme oil, lavender oil, sorbic acid and grapefruit seed extract. 4.91" x 2.98" x 1.89"